2009 Philadelphia soul singer Randy Cain (The Delfonics) is born Herbert Randal Cain III in Philadelphia, Pennsylvania. 2008 Elton John plays a fundraiser for Hillary Clinton's presidential campaign at Radio City Music Hall in New York City, bringing in about $2.5 million. In 2013, Clinton is honored by the Elton John AIDS Foundation for her support of gay rights. 1999 Faith Hill begins her first headlining tour ("This Kiss") in Minneapolis. 1997 Amidst personal tensions between its band members, Soundgarden announce their break up, which lasts for 13 years until they decide to reunite. 1997 Nashville songwriter Mae Axton, co-writer of Elvis Presley's "Heartbreak Hotel," dies at age 82 when she has a heart attack and drowns in her hot tub. 1994 Wayne Newton marries his second wife, Kathleen. 1988 Billy Ocean's "Get Outta My Dreams, Get Into My Car," from the movie The Jewel Of The Nile, hits #1 in the US. 1988 Soul singer Dave Prater (Sam & Dave) dies at age 50 in a single-car accident in Sycamore, Georgia. 1988 R&B singer Brook Benton dies of pneumonia at age 56, two years after contracting spinal meningitis. 1987 Pop singer and actor Jesse McCartney is born in Ardsley, New York. 1986 The musical Time premieres at the Dominion Theatre in London. Produced by Dave Clark, the show stars Cliff Richard in the lead role. 1985 Frankie Goes to Hollywood opens a European tour in Copenhagen and spends the rest of the year in tax exile from the United Kingdom. 1984 Cher, for her performance in Silkwood, loses the Best Supporting Actress Academy Award to Linda Hunt (in The Year Of Living Dangerously). Cher would win for Best Actress three years later for her role in Moonstruck. 1977 Alt rock singer-songwriter Gerard Way (My Chemical Romance) is born in Summit, New Jersey. 1969 Kevin Martin (lead vocalist of Candlebox) is born in Elgin, Illinois. 1969 King Crimson makes its debut performance at the Speakeasy in London. 1966 Jeff Beck collapses onstage at a Yardbirds concert in France. Said their drummer Jim McCarty: "You never really quite knew what was going to happen with him." 1964 Capitol Records reaches an out-of-court settlement with Vee-Jay Records over Beatles records it claims the latter did not have the right to release. 1962 Henry Mancini wins the Best Original Song Academy Award for "Moon River" from Breakfast At Tiffany's. 1950 Keyboardist Peter Wood (Roger Waters' backing group, The Bleeding Heart Band) is born in Middlesex, England. 1948 Rock and roll singer Dave "Chico" Ryan (The Happenings, Sha Na Na, Bill Haley & His Comets) is born in Arlington, Massachusetts. 1945 Rock and roll singer Emil Stucchio (The Classics) is born in New York. 1943 Music producer Terry Knight (Grand Funk Railroad, Bloodrock) is born Richard Terrance Knapp in Lapeer, Michigan. 1941 Country singer Kay Adams, known for the 1966 hit "Little Pink Mack," is born Princetta Kay Adams in Knox City, Texas. 1932 Rockabilly singer Carl Perkins is born in Ridgely, Tennessee. 1887 Classical composer Florence Beatrice Price is born in Little Rock, Arkansas. 1860 An unknown woman sings "Au Claire De La Lune" to Parisian inventor Edouard-Leon Scott de Martinville, who makes the first known and oldest surviving recording of the human voice. 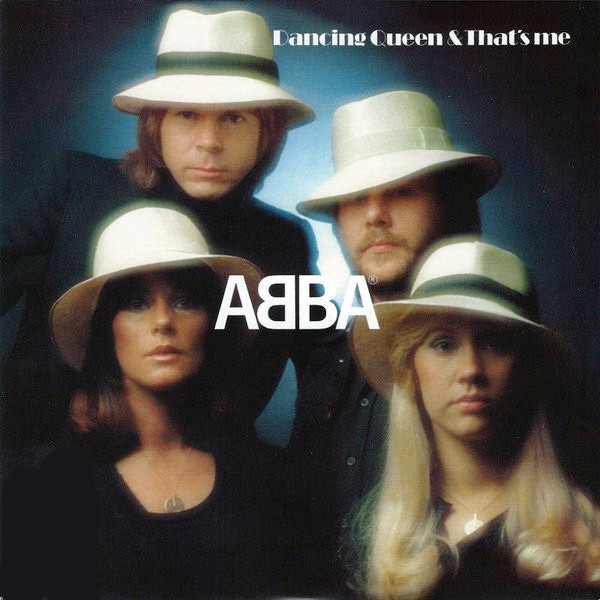 Europop Rules In America With "Dancing Queen"
1977ABBA goes to #1 on the US singles chart with "Dancing Queen," the group's seventh US Top 40 hit and first #1. The song is also a #1 in the UK and 12 other countries. 1976 Folk singer-songwriter Phil Ochs commits suicide at age 35 in Far Rockaway, New York City, after a long battle with bipolar disorder and alcoholism. 1973 Queen makes its debut performance at the Marquee Theater in London. 1965 Bruce Johnston joins The Beach Boys as the permanent replacement for Brian Wilson.